WILLEMSTAD – Be careful when you are at the beach, especially in the Caracasbaai and Piscadera area. Beach visitors have spotted a jelly fish last weekend. One was spotted in Caracasbaai and another in Piscadera. The jellyfish can cause severe burns with its long tentacles. 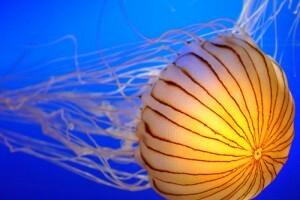 The reason for the presence of jellyfish is the changing wind direction.